Michael Jackson | Tut. Sulk. Tut. It’s hard to believe it could be true, but according to the website TMZ.com, Michael Jackson has passed away at the age of 50. The singer suffered a cardiac arrest at his home and paramedics were unable to revive him. 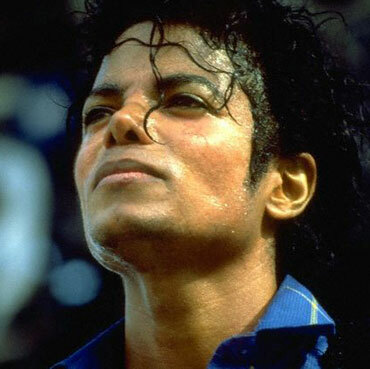 Whatever I’ve thought or wondered about Michael Jackson in recent years, nothing can take away from the wonder and awe that he inspired in me in my younger years. Like most everyone else of around my age (30), I grew up with Michael Jackson — Off the Wall was the first album I ever bought – I bought it proudly, shyly, in the tiny, one-room record shop in North St, Skibbereen, Co. Cork, called Sounds. I had actually wanted to get Thriller, but — surprise, surprise — it was sold out and all they had to offer me was the earlier album. I didn’t care. I took it home, treated it like it was gold. Which, of course, it was. It was Michael Jackson, he was incredible, and my sisters and I couldn’t get enough of him. My sister’s side of the room that we shared was plastered in press pictures of the time he played Cork city. (I had been too young to go.) For months after the gig, she’d talk of nothing else. We spent a lot of spare time round the house trying to learn how to moonwalk and wearing one glove with a certain hopeful air of glamour. But for me, the first time I really and truly got a shock wave of utter excitement watching the television came when I saw Michael Jackson at the Motown 25 gig. It was the 1980s and I was very, very young, but I remember being in the sitting-room while my family was chatting away and then suddenly this man came on the television and… honestly, it’s hard to even describe how taken, how utterly awestruck I was by that moment. I had never (in my admittedly short life) seen anyone arrive on stage harnessing that level of commitment — his dedication to his craft was so total; the music seemed to have fused with the blood in his veins. Every move that he made was perfectly judged; his face shone with sweat and passion and joy. It was a performance that taught me what it meant to strive, to care, to be committed. He went on stage alone, with nothing but his hat as a prop — and he delivered more than anyone else there that night. As a reminder, I’m putting the video of his performance at the Motown 25 below. RIP Michael Jackson. i’m just slightly younger than you, bad was my first album, i bought it on cassette. My cousin brought me to the music store and i had no idea what to get, i clearly remember seeing it and thinking ‘of course!’ and also being kind of proud of myself as my cousin was impressed. I was probably 6 or 7, my cousin was in her late teens, we were both fans of the same artist at the same time. Isnt that funny? What other artist could inspire that?! I was actually in cork with my family when he played, one of the family we were visiting was going and we spent two days before hand watching his videos and films, the hysteria was tangible. I dont think any album will ever compare to bad, largely because i listened to it as a child, with innocence, an open mind, and all the time in the world. I had a musical clean slate, no reason whatsover to doubt the genius in the music or to stop me from instantly loving it. I know every single second, every instrument, every word, what song is coming next.. I’m sadder today than i realised i would be. It’s great to watch videos of the crowds gathered in america dancing and singing his songs, i’m looking forward to seeing what the glasto acts do over the weekend on youtube. Maybe it’s my age (39), but I really don’t know what all the fuss is about. Yes, he was a great performer, but anything after Off the Wall leaves me cold. I’d go as far as switching off the radio if something by him came on, and it’s not just because of the paedo allegations. Crikey Ron Asheton, Lux Interior and now Michael Jackson! God theres a blast from the past-was it still called Sounds when it was on North St? I remember Thriller sparkling like a jewel amongst my dads classical music records…and the bald patches on our carpet from our numerous attempts at moonwalking! I was in Glastonbury when I heard he’d died, rather surprised at the lack of tribute or even reference made to his passing…as far as I’m aware only N.E.R.D & Dizzee Rascall made comment-and I’d been so looking forward to some reverent covers of Smooth Criminal & Billie Jean! Hope you’re keeping well-you’re writing up a storm! PS Totally agree about Florence and the Machine-she scaled the stage scaffold of the John Peel Tent in 8inch heels-respect! Hi Susan, lovely to hear from you! Mad how the ol’ blog gets people back in contact. Not sure if it was definitely still Sounds when it was in North St, but that’s how I remember it. Any Skibb person around to verify? Hope all is going well with ye! Love the writing too Nadine! Bit late replying to this but yes I believe it was Sounds back then too. The first “tape” I bought there was Madonna True Blue and the second was Thriller! Boot-skated round the kitchen floor for hours listening to that. And don’t forget the badges on the big, felt covered cardboard that you had to buy too!